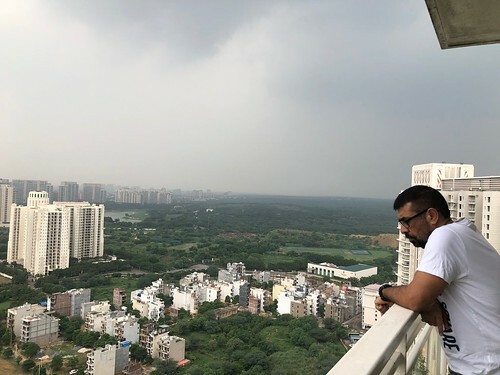 Nobody can mistake Delhi’s so-called Millennium City of Gurgaon as a holiday resort. 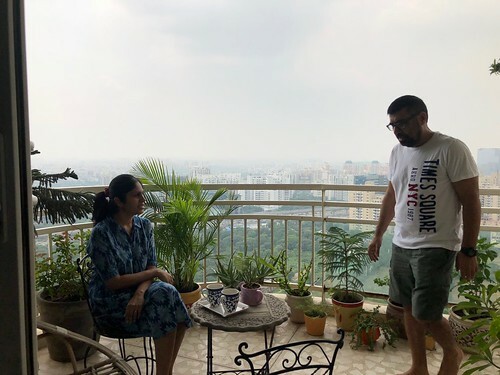 But Divya Babu’s balcony feels like one of those weekend getaways in the mountains that Delhiwallas escape to in the superfast Saturday morning Shatabdi Express trains. 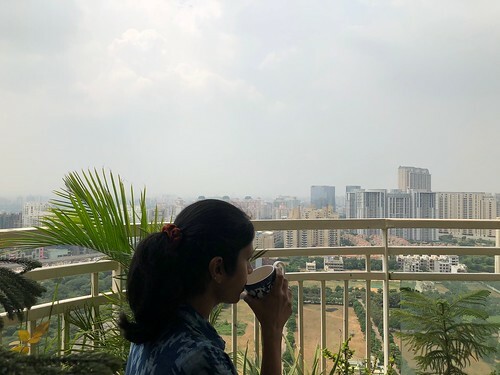 In her 30s, Ms Babu lives on the 30th floor. 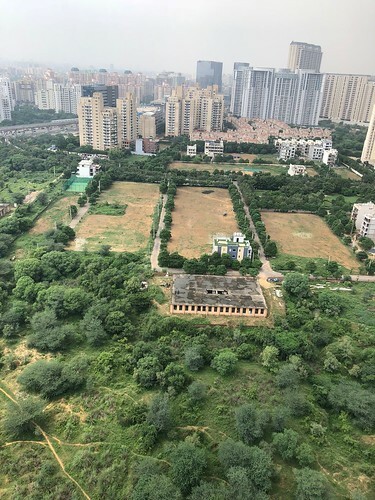 Her apartment complex is one of the tallest in DLF Park Place, Sector 54. Its balcony is like a hill-top lodge and seems detached from the world, as if it’s a floating balloon. 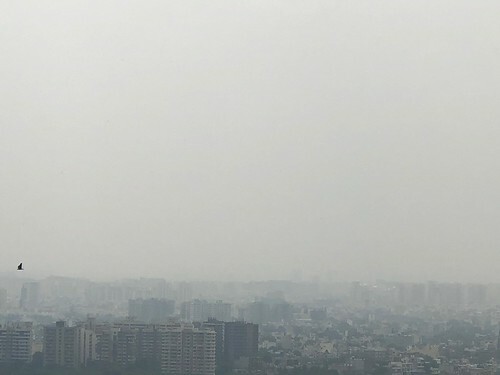 Gurugram itself looks heavenly. 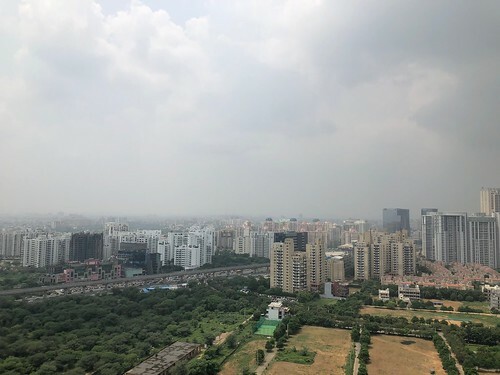 This afternoon the day isn’t very smoggy and you can see the high-rises spreading out to a blur. On the left side is the busy Golf Course Road; on the right, the Golf Course itself, with a glassy lake nestled within its greens. 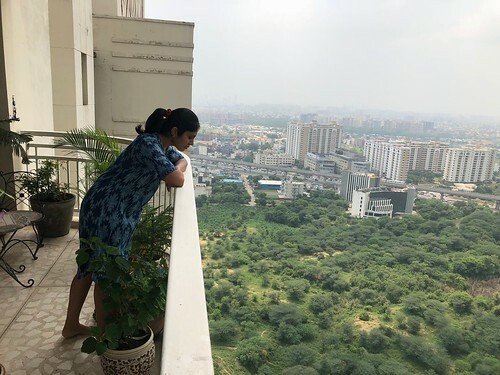 “The house is a bit small for us but this balcony more than makes up for that fault,” confesses Ms Babu, her soft voice quietly betraying the contentment of being the mistress of such a lovely place. It is reasonable for those well grounded in “that world” to feel jealous of Ms Babu’s Millennium City haven. They may draw consolation from the fact that sometimes the balcony gets infested with mosquitoes “and then it is impossible for us to sit here”.